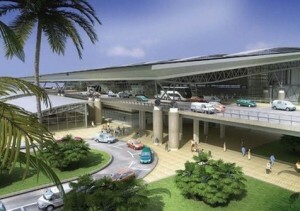 King Shaka International Airport is South Africa’s third largest airport, located in La Mercy 33,7km from Durban. Driving time to Durban via the N2 is around 35 minutes. The distance from the airport to Pietermaritzburg is 104.2km, taking approximately 1 hour 20 minutes travelling at an average speed of 80km per hour. The distance from King Shaka International to Margate on Kwa Zulu’s south coast is 166,1km and takes around 1 hour 40 minutes via the N2. King Shaka International Airport’s parking is contracted to ‘Katanga Parking’. The airport has a total of 1540 undercover parking bays located in the multi-story parkade and 4960 shaded parking spaces. Short Stay Shaded Parking located a little further from the main terminal buildings offers 1,500 parking bays. Long Stay Shaded Parking is applicable to vehicles being parked for three days or longer with the capacity for 500 vehicles plus better rates compared to short stay parking. 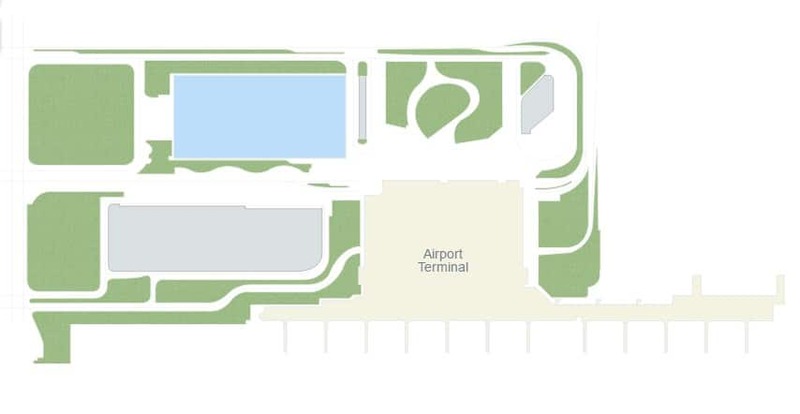 Additionally for arrival pick-ups there are 40 car parking bays located close to the terminal. All vehicles utilising these parking bays must have a ‘paraplegic sticker’ visible at all times to avoid the vehicle being wheel clamped. Shaded parking, close to the walkway to the terminal provides 6 bays. Parking on ‘Level 0’ has 14 bays while ‘Level 1’ provides 2 bays. The drop-off zone provides 6 bays and the pick-up zone has 3. ‘QASA’ members qualify for shaded parking tariff rates in the parkade. These members must complete a form after which their tickets will be issued by the cashiers at shading parking rates. Special needs passengers with restricted mobility that are in need of assistance or special access should contact the airline they’re flying with at least 48 hours prior to their flight’s departure. Not permitted to be packed into passengers’ hand luggage are objects with sharp edges or points that include but is not limited to items like toy weapons, razor blades, screwdrivers, knives, pepper spray or cork screws. Ensure your hand baggage is with you at all times. No parcels, handbags or luggage should be left unattended and should you notice any such items left unattended please contact the airport security. Never carry on board anything from another person and should you receive such a request, contact airport security. Gifts should remain unwrapped as security may wish to scrutinise them. Barcodes and old tags should be removed from your luggage ensuring the check-in process operates efficiently. To easily and correctly identify your luggage personalise it with a bright sticker, a key ring or colourful ribbon. Your laptop should be easily removable should security wish to inspect it prior to boarding. To avoid delays ensure your hand baggage is within the stipulated weight restrictions. Gels, liquids and aerosols must be packed in re-sealable transparent plastic bags with a total capacity not exceeding 1 litre. Each passenger is permitted to carry only one of these bags which must be presented to security for inspection.